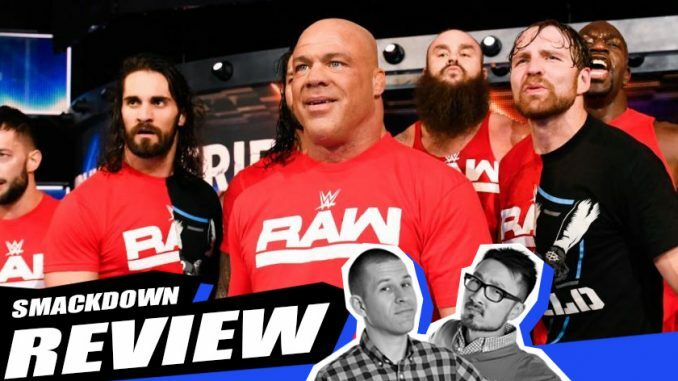 John Pollock & Wai Ting review the final Smackdown episode before the Survivor Series with the Raw side invading, Charlotte wins the title with Ric Flair in attendance, Daniel Bryan plays advocate for A.J. Styles and more. A review of the WWE Network’s “Goldberg” special and a preview of the NXT Takeover & Survivor Series cards this weekend in Houston.